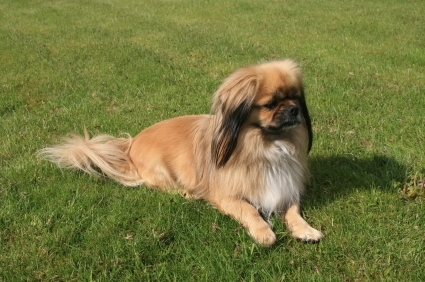 The Tibetan Spaniel is one of the Toy companion breeds. 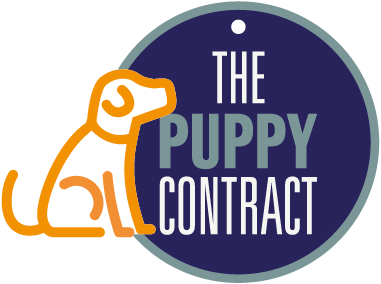 A very cute and pert little dog with a cheerful temperament and plenty of energy. He will want to join in with games and will enjoy his daily exercsie. Despite his small size, he is generally a robust little dog. 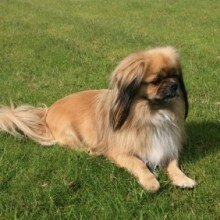 His coat, as described in the breed standard is, ‘ silky in texture, smooth on face and front of legs, moderate in length….. Undercoat fine and dense.’ The Tibetan Spaniel will need frequent grooming to keep his coat clean and tangle free. 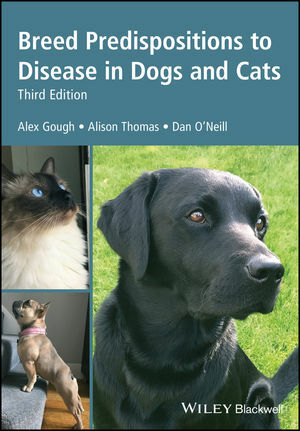 Hip dysplasia: breed mean score 12 (parents should be lower) Note: very few Tibetan Spaniels are hip scored as the breed club feel it is unnecessary.